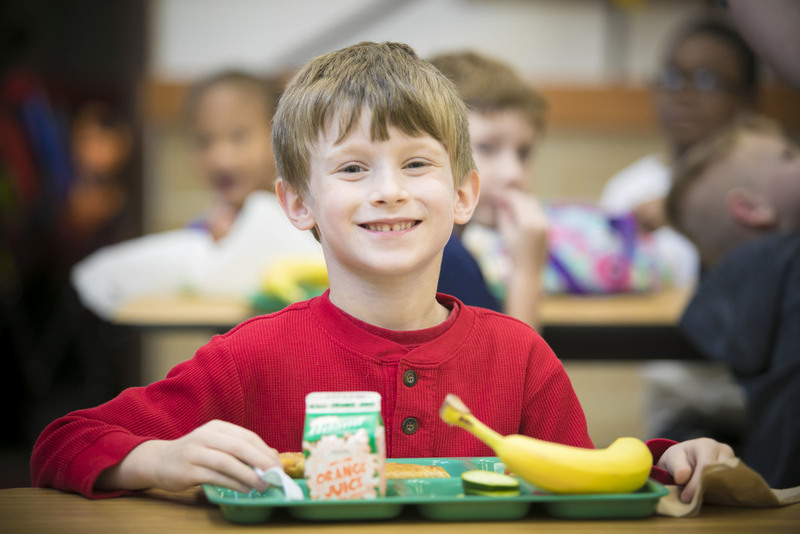 Aramark, Russellville School District, and River Valley Food 4 Kids will provide meals all summer to students free of charge with their Summer Feeding Program. Students will be served a hot meal each day from 11 a.m. to 12 p.m. at Crawford Elementary. A district school bus will also pick up students from each elementary school and will take them to and from Crawford Elementary for the meal. 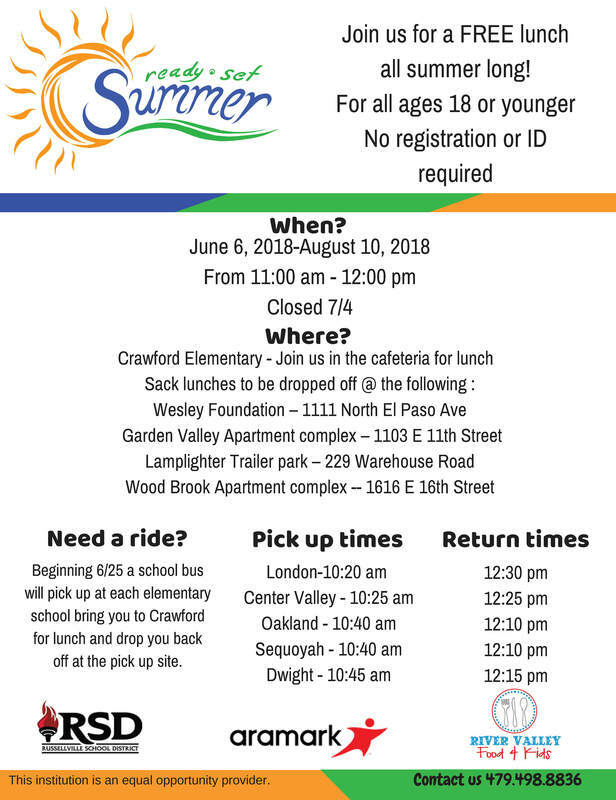 If students can’t make it to Crawford Elementary for lunch, there will be four community sites where sack lunches will be distributed. The four community sites will be the Wesley Foundation, Garden Valley Apartment Complex, Lamplighter Trailer Park, and Wood Brook Apartment Complex. 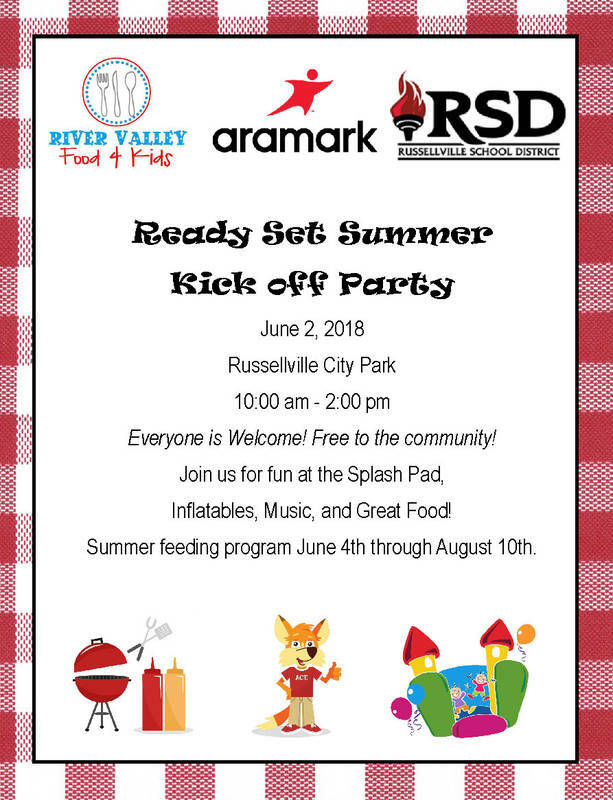 To launch the Summer Feeding Program, Aramark will host a Kick-off Party on June 2 from 10 a.m. to 2 p.m. at the Russellville City Park. Aramark’s Chef Ken will be on hand preparing free food for attendees, and RSD school resource officers and members of the community will be available to talk to parents about summer safety and health.